Protect your beautiful flooring with our Hard Floor Non-Studded Chair Mats! Perfect for use on hardwood, tile, polished or painted concrete floors. MADE IN THE USA! Durable .133" thick heavy duty vinyl material is resistant to cracks when used on hard, non-carpeted floors. Easy on/off beveled edges. LIFETIME WARRANTY! FREE SHIPPING! 36" x 48" Hard Floor Non Studded Rectangular Chair Mat w/Beveled Edges sold above. See other sizes and shapes below. 36" x 48" Hard Floor Non Studded Rectangular Chair Mat w/Beveled Edges arrives rolled in the carton. Shipping weight 12 lbs. Please allow 1-2 weeks for delivery. * Choice of Rectangular or T-Shaped mats. 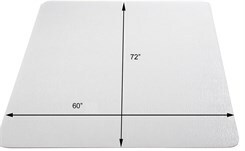 * .133" thick for commercial office or home office settings. 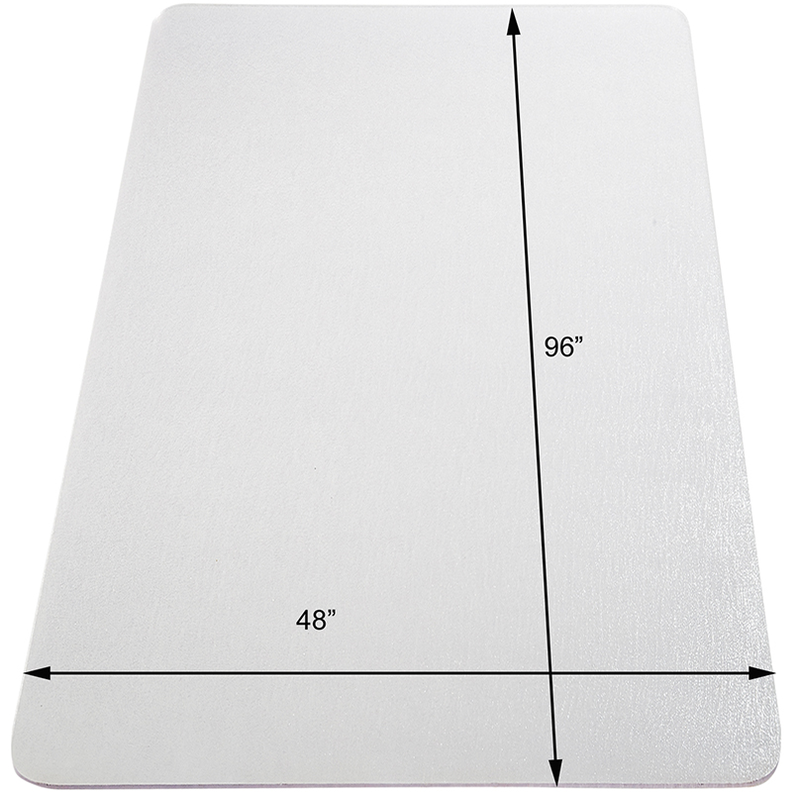 .133" thick chair mat is non-studded for use on wood or tile floors. 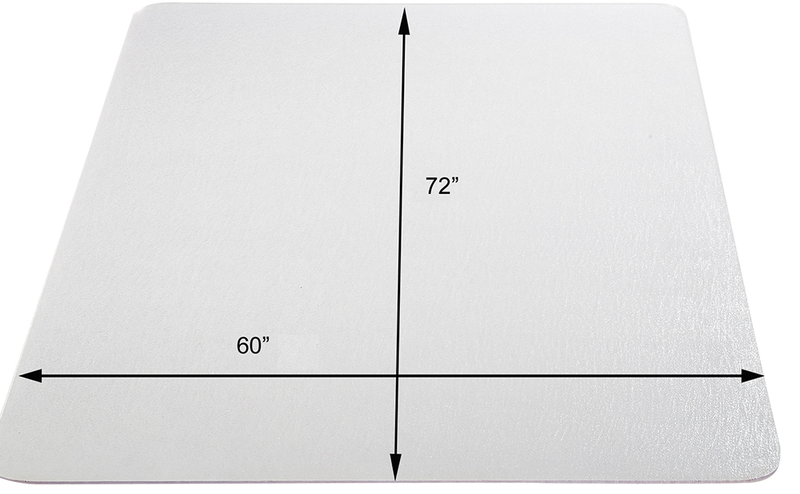 Beveled edges make it easy to roll on and off chair mat. Arrives rolled in the carton. Shipping weight 17 lbs. PRICE INCLUDES SHIPPING! 6 - 11 $184.00 ea. 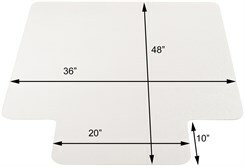 .133" thick chair mat is non-studded for use on wood or tile floors. 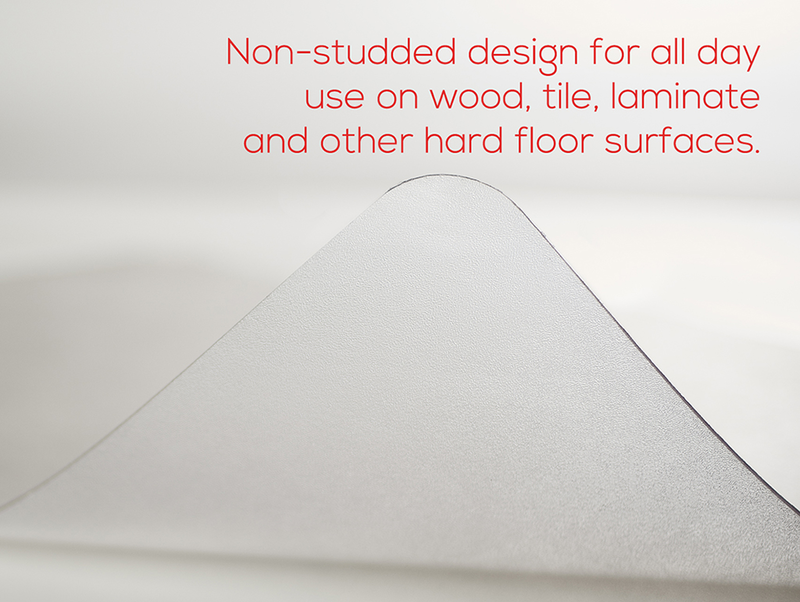 Beveled edges make it easy to roll on and off chair mat. Arrives rolled in the carton. Shipping weight 19 lbs. PRICE INCLUDES SHIPPING! 1 - 5 $219.00 ea. 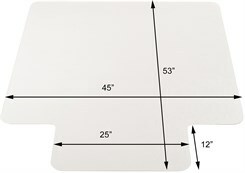 .133" thick chair mat is non-studded for use on wood or tile floors. 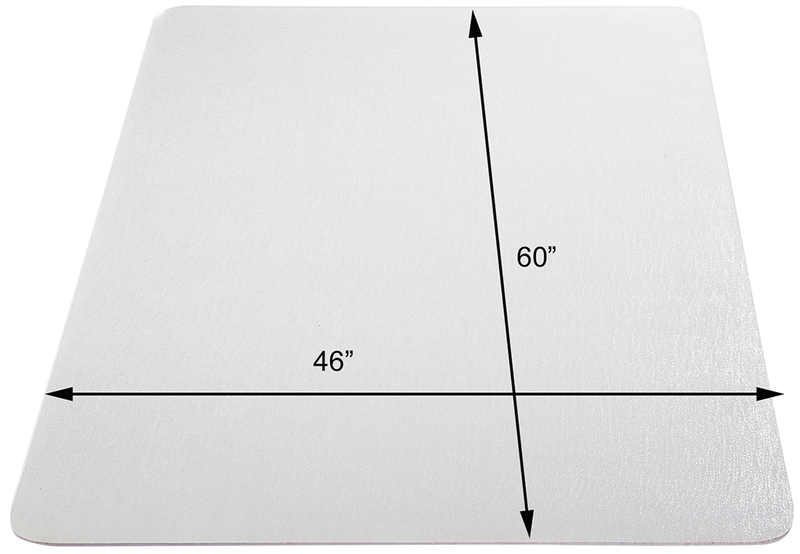 Beveled edges make it easy to roll on and off chair mat. Arrives rolled in the carton. Shipping weight 23 lbs. PRICE INCLUDES SHIPPING! 6 - 11 $239.00 ea. 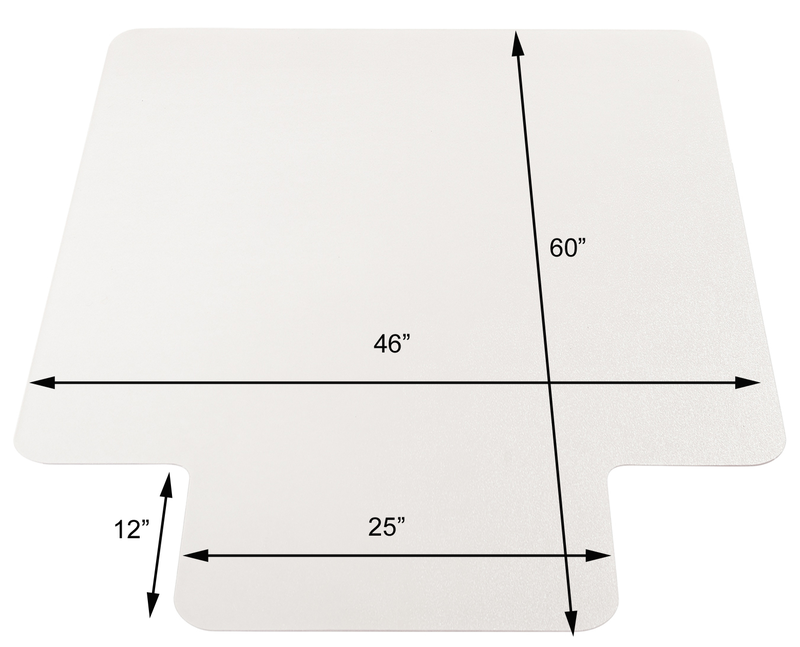 .133" thick chair mat is non-studded for use on wood or tile floors. 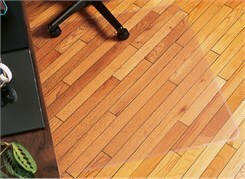 Beveled edges make it easy to roll on and off chair mat. Arrives rolled in the carton. Shipping weight 29 lbs. PRICE INCLUDES SHIPPING! 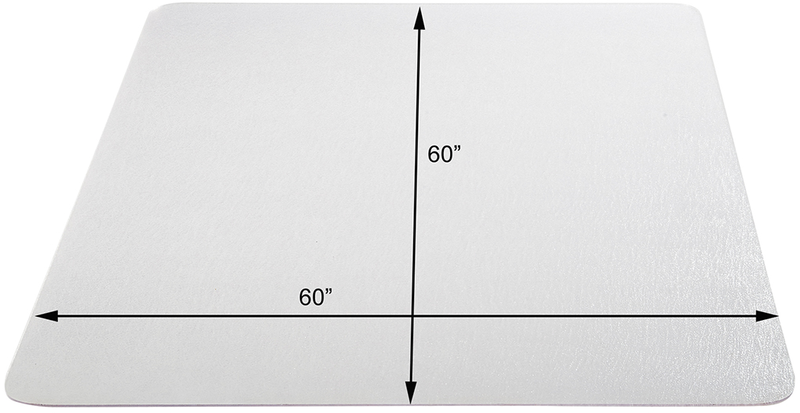 .133" thick chair mat is non-studded for use on wood or tile floors. 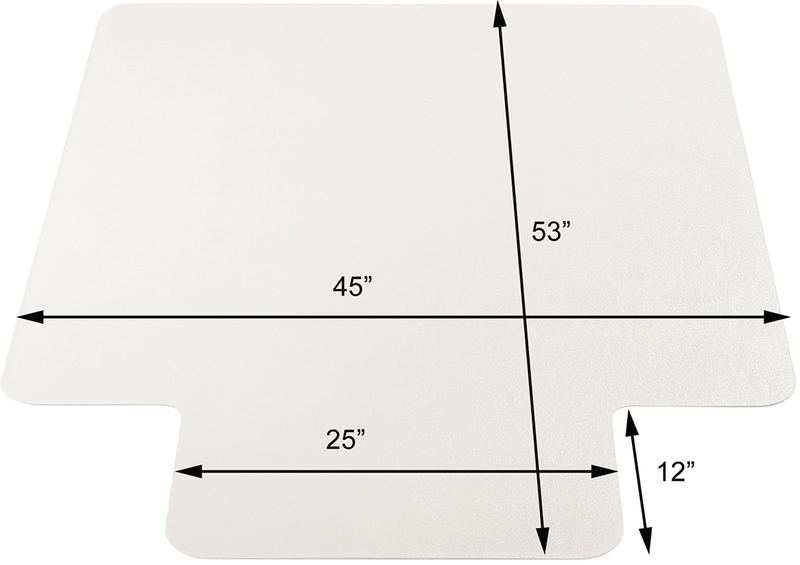 Beveled edges make it easy to roll on and off chair mat. Arrives rolled in the carton. Shipping weight 24 lbs. PRICE INCLUDES SHIPPING! 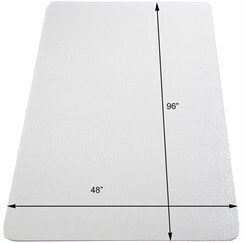 .133" thick chair mat is non-studded for use on wood or tile floors. 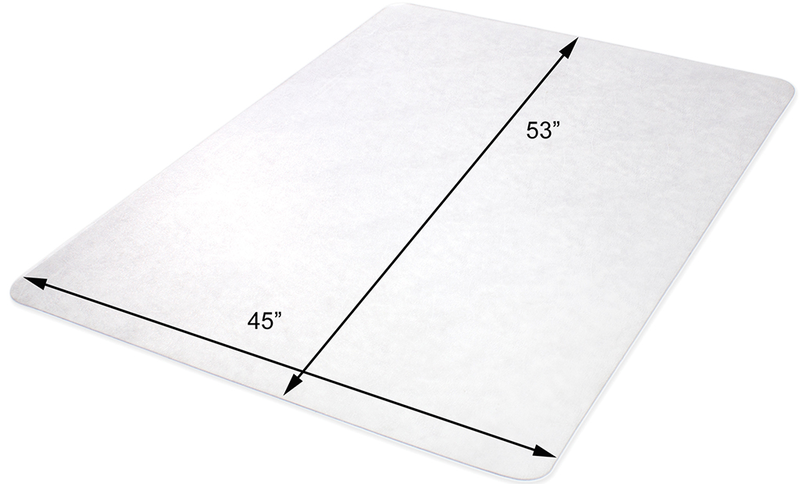 Beveled edges make it easy to roll on and off chair mat. Arrives rolled in the carton. Shipping weight 30 lbs. PRICE INCLUDES SHIPPING! 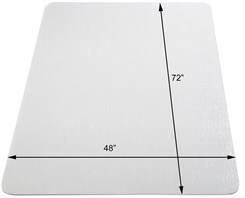 .133" thick chair mat is non-studded for use on wood or tile floors. Features a 20" x 10" lip. 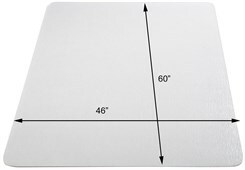 Beveled edges make it easy to roll on and off chair mat. Arrives rolled in the carton. Shipping weight 12 lbs. PRICE INCLUDES SHIPPING! 1 - 5 $164.00 ea. 6 - 11 $159.00 ea. 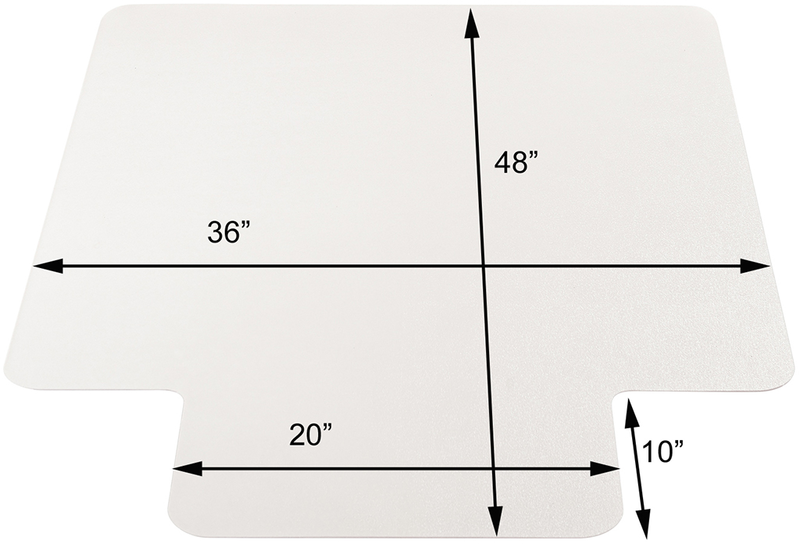 .133" thick chair mat is non-studded for use on wood or tile floors. Features a 25" x 12" lip. 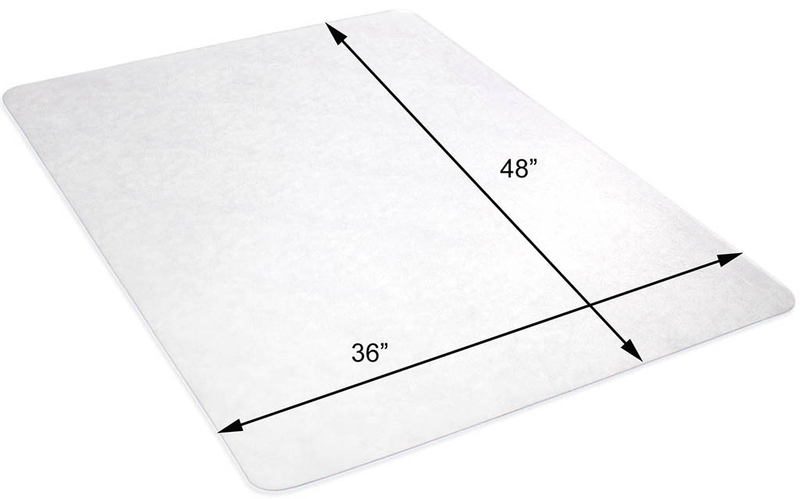 Beveled edges make it easy to roll on and off chair mat. Arrives rolled in the carton. Shipping weight 17 lbs. PRICE INCLUDES SHIPPING! 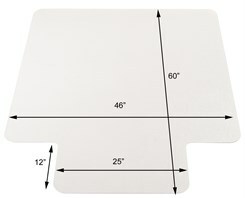 .133" thick chair mat is non-studded for use on wood or tile floors. Features a 25� x 12� lip. 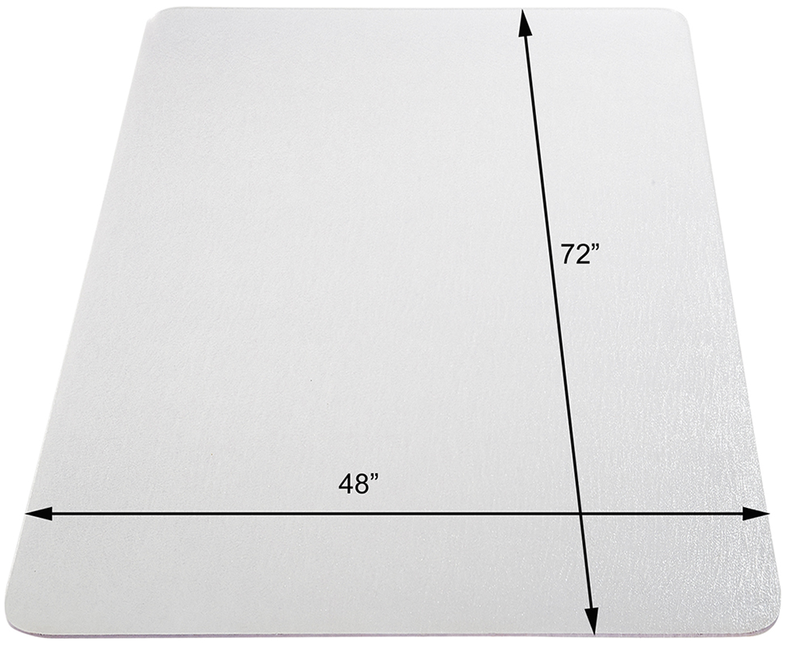 Beveled edges make it easy to roll on and off chair mat. Arrives rolled in the carton. Shipping weight 19 lbs. PRICE INCLUDES SHIPPING!